I picked up this recipe 7 years ago when I lived in Dharwad. My roomie from Honnavar cooked chicken in this style alone and since she never bothered cooking if I asked her to experiment a different recipe, I was forced to have this curry often. But after I got married and began living in Bangalore, I find a slightly different version of this curry in every popular restaurants here. So I finally made this at home, the first time. It should be definitely had with akki roti (rice flour rotis). 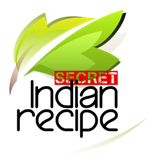 Teena Augustine's Secret Indian Recipe ! Roast the poppy seeds in a pan and coarsely crush them using a mortar and pestle. Wash and clean the chicken and drain the excess water. In a pan dry roast the red chilies,cinnamon and cloves and set it aside. Add 2 tbsp oil and saute the onions till translucent. Grind the whole spices along with the poppy seeds, grated coconut, garlic, ginger and fried onions to a smooth paste. Use 1/4 cup water to grind this paste. Heat the remaining 2 tbsp oil and brown the chicken pieces. Now pour the ground masala paste, add tomatoes and cook the chicken in this paste. Add salt and cook over low flame. Once the chicken is half cooked add 1 cup water and let the curry simmer. Garnish with coriander leaves and serve with rice or akki roti.